If you are a homeowner, and a lucky one, you will never have to face the stress and fear of a compromised foundation. However, foundation problems are a reality for many. If you have concerns about the integrity of your foundation, it is possible to complete a repair that can actually save your foundation and not break the bank. Detroit Concrete Leveling specializes in a concrete leveling process that has saved many homes and brought peace of mind back to the homeowners who thought that their biggest financial investment might have been lost. If your foundation is sinking, you will notice signs like cracks in your walls and doors or windows that no longer line up with their frames. To some degree, all houses go through settling and not all settling means a failing foundation. But if your foundation is experiencing more severe problems, the issue should be addressed as soon as possible. A common problem that threatens foundations is sinking concrete, which allows water to move back toward the foundation of your house. This can be extremely problematic, as, over time, water will work to weaken the parts of your house that it gains access to, including your foundation. And if the concrete slabs that are sinking are not fixed, the problem will only get worse. Concrete slabs sink when air pockets form underneath. Often, you will see evidence of problems developing in the form of cracks in the concrete. If this affects the foundation of your house, every part of the structure that is built on top of the foundation is affected. This is why damage to your foundation is such a potentially large problem. Our leveling process has great success in saving foundations. It is a simple process, but it requires experience and expertise. We level concrete by drilling small holes into the affected concrete and injecting a slurry of limestone into the holes, which equalizes the pressure underneath and lifts the foundation back to its level state. If you have been looking for a reputable company to repair your home’s foundation, Detroit Concrete Leveling is unbeatable. We are successful in our business because we are reliable, we respond rapidly to customers’ inquiries and emergencies, and we know what we are doing when it comes to repairing foundations. We guarantee our work and provide you with affordable concrete repair. We have succeeded in business since 1977 and have built a strong reputation among our customers. 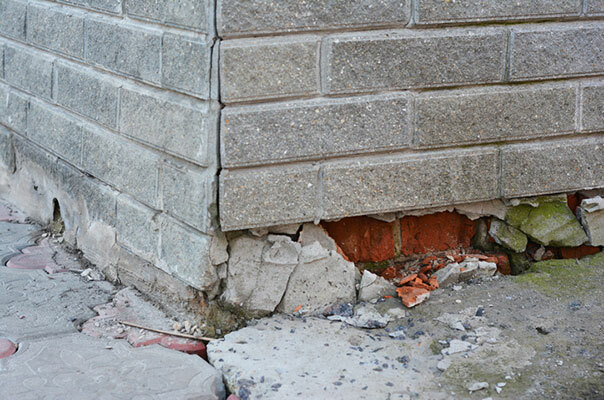 If your foundation has been compromised, give us a call at 866-472-9033 and we will respond promptly with times that we can come and take a look.